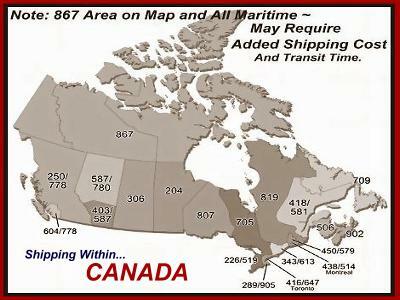 CANADA Ship-To Address ~ Mostly via Purolator...! Shipping via PUROLATOR or Courier-Service within Canada. Most Items Ship Within One-Business Day ~ All Pricing in USD . . .
~ Based On Your Location, Most Orders Are Received within 2 to 5 business days, unless noted otherwise.